Buy Wednesday night Lotto tickets and check the latest Lotto results online right here ! Winning Wednesday Lotto is not determined by luck alone. 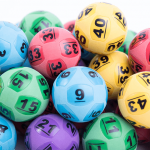 Learning the basic aspects of the game gives players a distinct advantage in purchasing their lotto entries and thus reducing the costs needed to win the bigger Divisions. This Guide covers the rules of the game and all available options for purchasing your lotto tickets. Wednesday Lotto provides a guaranteed minimum 1st division prize of $1 million to the player or players able to successfully select all 6 winning numbers in the draw. There are 8 balls drawn in the Wednesday Lotto. The first six are referred to as winning numbers whilst the final two are called supplementary numbers. The combination of winning and supplementary numbers are used to determine the winners of secondary Divisions 2-6. A total of six divisions cover the Wednesday Lottery, each with its own winning number combination and allotted prizes. A ‘Standard’ game is played by choosing six (6) numbers from a selection of 1 to 45. Eight (8) numbers will randomly be selected by lottery officials comprising six (6) winning and two (2) supplementary numbers. If your numbers match the first six (6) selected by the lottery company, then you will win or at least share in the 1st Division pool. You can also play ‘Multi-week’ entries for both Wednesday lotto and other Lottery games, using the same numbers for weeks or even months in advance. This is not only a very convenient way to play, but it also ensures you never miss having your entry in the draw – Especially, if your numbers did come up and you had forgotten to buy your lotto ticket for that week! There are also ‘Systems’ entries, allowing you to choose more numbers per lotto game than the standard (6), thus increasing your winning chances. If there are no Division 1 winners for the Wednesday Lotto draw, then that prize pool is added to the jackpot of the upcoming Monday lotto draw. Wednesday Lotto has two other options available for purchasing entries. The first one is called Double Up which occassionally provides winners of Divisions 2-6 twice the amount of the standard dividend prize and then there is Lotto Strike where players must predict the correct order of the first four numbers in that week’s Lotto draw. When Can I Play Wednesday Lotto? For NSW Lotteries and its resellers, the draw happens at 8:30pm (AEDT). To be sure though, check your online lottery ticket to see when your game is drawn. Draw closing times also depend on each state lottery. For example: for Oz Lotteries, a NSW Lotteries reseller, the draw closing time is at 6:30pm (AEDT) and for Tattersalls, entries close at 7:30pm. To purchase any of your Lotto tickets online, simply click here now. What does it cost to play Wednesday Lotto? Note: Prices in each state may vary slightly, depending on the individual state lottery. Tattersalls has its own price list. For the Lotterywest prices click here. The SA Lotteries price list can be seen here. For NSW Lotteries, the minimum price is 50 cents per game. You can then choose your own preferred numbers or randomly computer generated ones online here through the website. A ‘Standard’ wednesday lotto game is played when choosing six (6) numbers from a selection of 1 to 45 numbers. During the lotto draw, eight (8) numbers will be randomly selected by government approved lottery officials comprising six (6) winning or regular and two (2) supplementary numbers. If your six numbers match the first six selected by the lottery officials, then you will win or possibly share in the Division 1 prize pool. You can also play using a ‘Multi-week’ entry for Wednesday lotto, using the same numbers for weeks or even months in advance. This is a very convenient way to play and also to make sure that you never miss putting your lotto entries in. You’ll never want to see your lotto numbers come up in the week where you forgot to put your entry in! .. and then, there are ‘Systems’ entries, where you can choose more numbers per game than the standard (6) and thereby significantly increasing your chances of winning the major prizes. Wednesday Lotto was introduced by NSW Lotteries (New South Wales) as a mid-week lotto on Wednesday, November 21, 1984. Monday and Wednesday Lotto were the only lotto games played in NSW until Oz Lotto began in 1994. Tattersall’s started selling Monday and Wednesday Lotto in its territories on October 13, 2008. 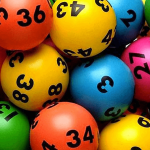 Like Monday Lotto, Wednesday Lotto was originally a 40-ball lottery, but has undergone several changes throughout the years. 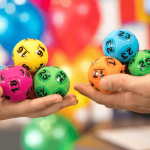 Starting in April 2004, Monday and Wednesday Lotto are the same or similar to Saturday Lotto where six regular numbers and two “supplementary” numbers are selected from a maximum of 45. Wednesday Lotto used to be played on a Thursday between 1989 and 1996 before returning to Wednesday due to the arrival of Powerball. To purchase your Wednesday Lotto, simply click on a banner below.